Boo and I went shopping. As we were walking past the baby section, Boo saw this little onesie and asked if we could get it for Lulu. At first I didn’t know what to do. Can we still buy things for Lulu? There are still times I’m not sure what to do, sometimes it is the everyday life that confuses me. Are we doing the right things? There is no “right” thing to do. Just follow your heart. 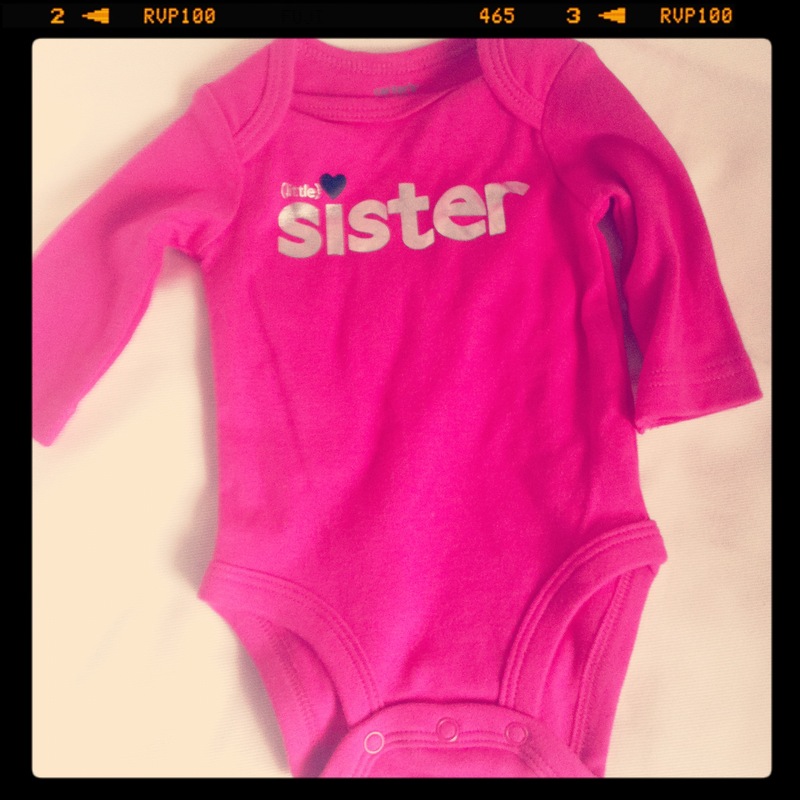 That’s what Boo was doing when she spotted that onesie for Lulu, her little sister FOREVER. I’m with Sasha – follow your heart. 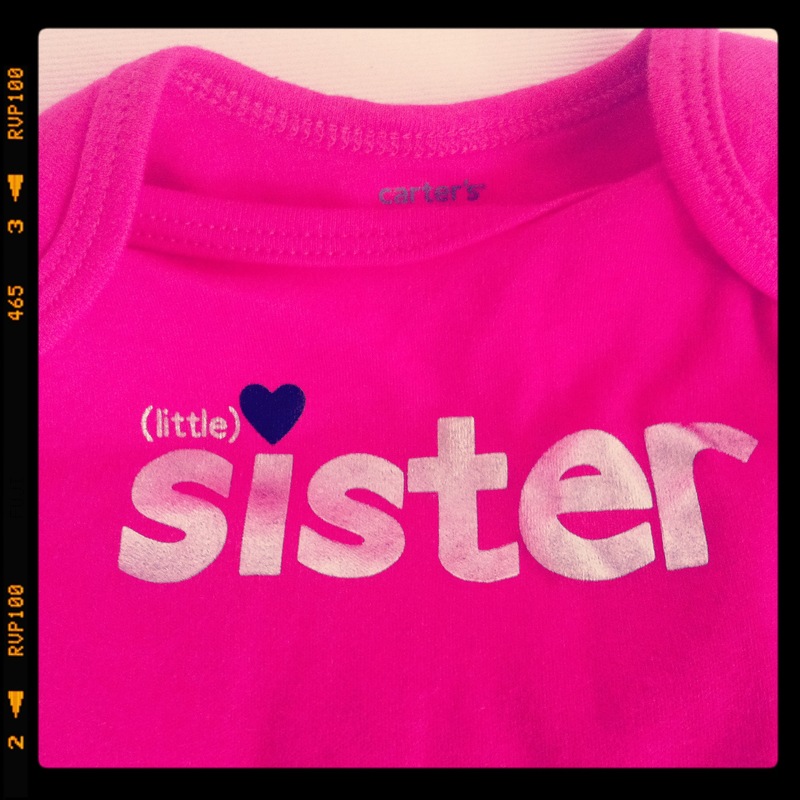 Buying the onesie created another memory….another moment for you and Boo to share and remember Lulu with. Beauitful! Love you!